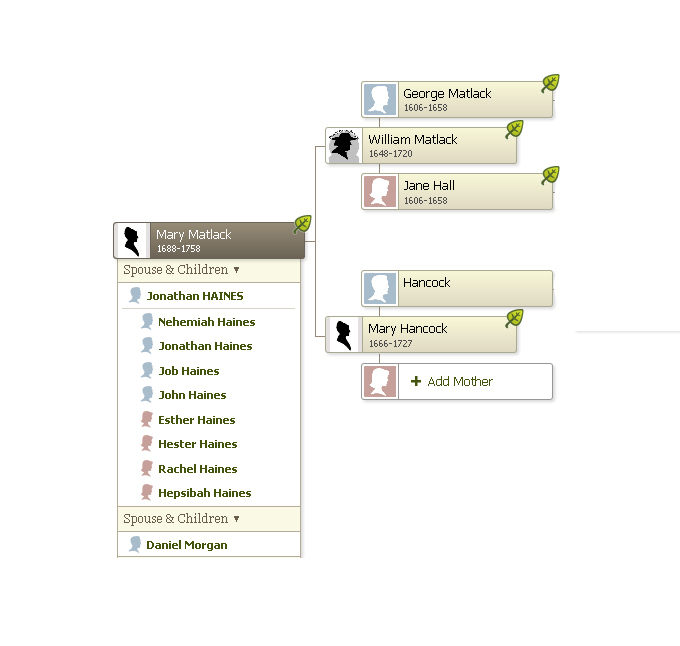 Jonathan was born the second of eight children to John Haines and Esther Borton. His parents were both born in England and so Jonathan was a first generation American. Mary's parents were also born in England and so she also was a first generation American. 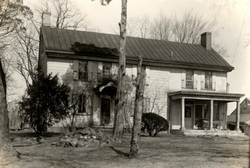 (See Matlack) They were married in Cherry Hill, then in Gloucester County, New Jersey in 1711. They had eight children. There are conflicting dates for Jonathan's death, some say 1728 and others 1729. He was either 39 or 40 when he died. Mary survived him and went on to marry Daniel Morgan in 1731. On the passing of her second husband, Mary lived with her son Jonathan and his family, at whose house she died of small pox. I find no mention of children between Mary and her second husband. 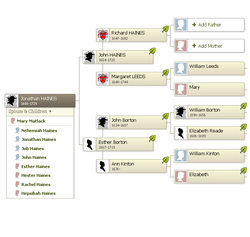 Esther Haines - 1718 - ? 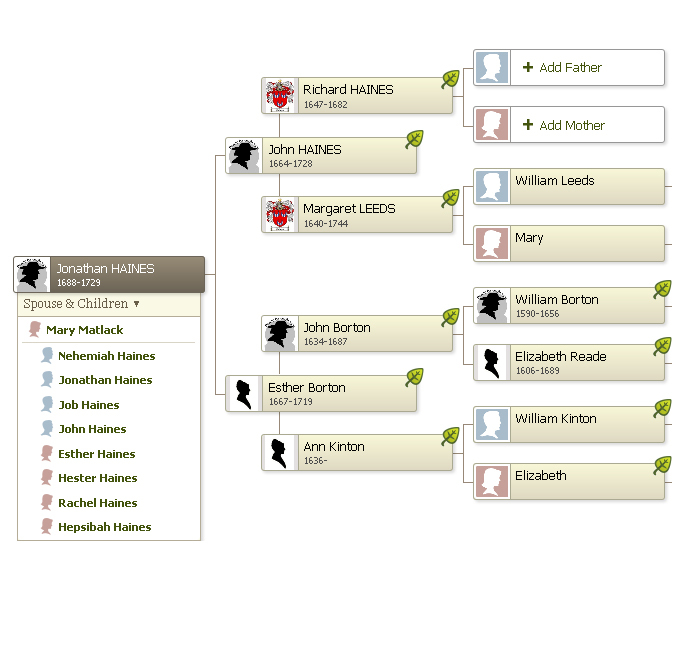 Hepsibah Haines - 1724 - ?